Junagarh Fort, in Bikaner, was originally called Chintamani Fort. However, the change in name was initiated after the royal family moved to a newer palace outside the fort precincts. Junagarh literally translates to Old Fort and this fort, the only one in Rajasthan is situated almost in the town square instead of a hill top. A highly secure fortification surrounded by the stipulatory moat along the perimeter, the fortress walls house a variety of structures and monuments reflecting a composite culture resplendent with a unique architecture, not distinct to any one culture but rather a mix of various architectural styles from various cultures. 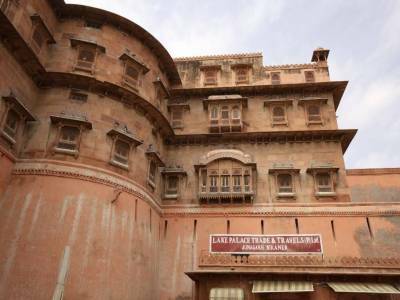 The fort was completed in 1534 by Raja Rai Singh and stands in the city of Bikaner on the fringes of the Thar Desert and is one of the three cities forming the desert triangle, other two being Jodhpur and Jaisalmer. 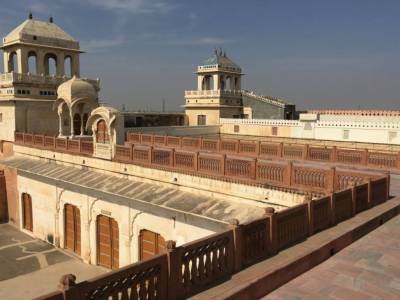 Bikaner, or as it translates to, The City of Bika is flanked by the Thar Desert on one side and the Arravalli ranges on the other and is built around the Junagarh Fort. The architectural structures built within Junagarh fort are all made up of red sandstone and mainly comprise of palaces and temples. 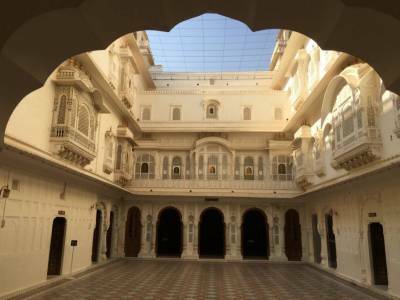 The Junagarh fort and all that it encloses within are a wonderful passage of travelling back in time to the days when the fortress and its palaces were frequented by royals. It is distinctly reflective of the grandeur and extravagance and high taste of its inhabitants and takes visitors back to a time to momentarily live the splendour of the interiors at its peak. 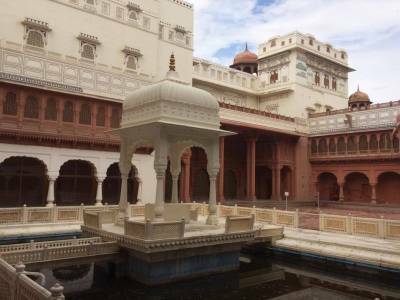 Fascinating beyond any match, despite the grandiose and splendour of the decor and intricate designs in architecture the Junagarh fort was not just a monumental wonder but extremely hardy and well fortified to protect from invasions by the enemy. It draws an interesting balance between military fortification as well majestic flamboyance of interior designing. The fortress and its enclosure leading to palaces and temples and other structures designed for the enjoyment of royals are presently preserved as museum and undertaken by the government. 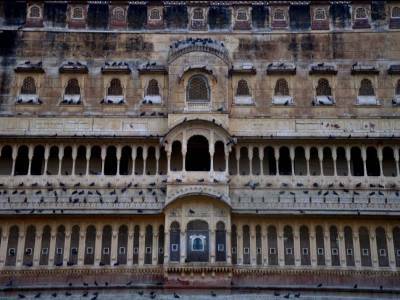 Get quick answers from travelers who visit to Junagarh Fort, Bikaner.